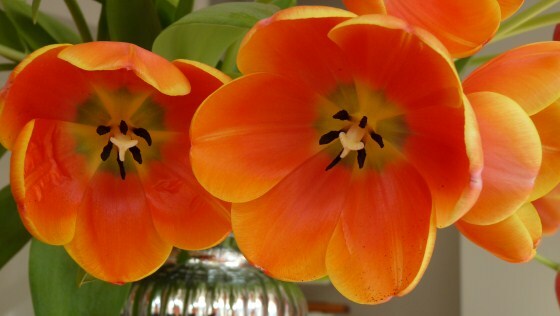 Today is Queen’s day, or Koninginnedag in Dutch and it is a national holiday in the Netherlands. On this day the Dutch people celebrate the birthday of the Queen of the Netherlands. Even though April 30 is actually the birthday of Queen Juliana (the mother of Queen Beatrix), and Queen Beatrix’s birthday is on the January 31, the Queen officially celebrates her birthday on April 30. I don’t know the reason as to why Queen Beatrix wants to celebrate her birthday on her mother’s birthday but it might have something to do with better weather in April. It’s sure more enjoyable for the nation to host parties all over the country this month than cold winter month of January for sure. On Queen’s Day one can expect to see the Orange Craze. Most of the people wear orange clothing and creative orange accessories for the day. Orange refers to the name of Dutch royal family, the House of Orange. Even I had to wear my orange t-shirt and took part in the Orange Craze. The Dutch work hard and party equally hard so it’s not a surprise the celebration actually began since last night which is known as Koninginnenacht or Queen’s Night. Amsterdam is the place to be for the festivities all over the city last night and today’s outdoor free concert at Museumplein. It’s also a tradition to have a vrijmarkt or free market, which is similar to a flea market. It’s a big event nationwide and there is no tax on the sales so just about every cities in the country will have some sort of trades going on whether at a park, on the streets, or sidewalks. It’s fun for me to just walk around and look at various items on sales.